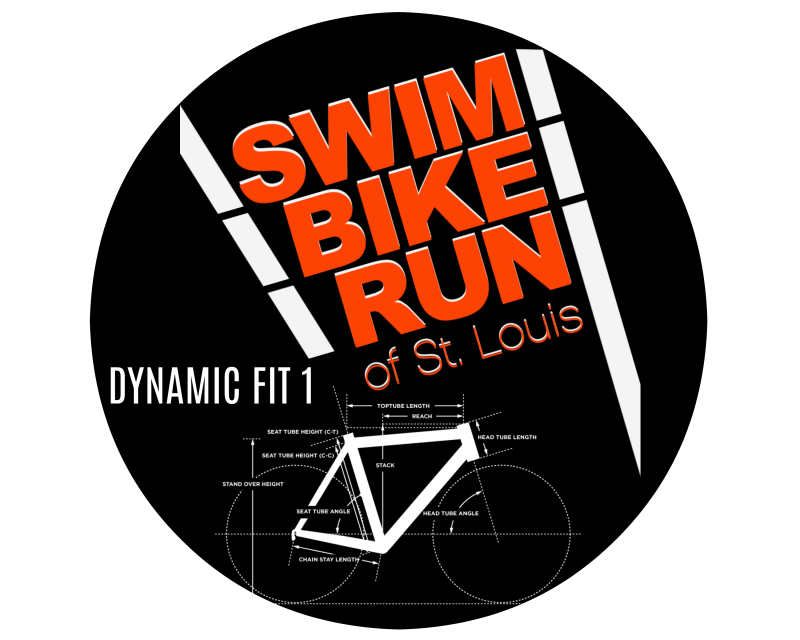 Here at Swim Bike Run of St. Louis we are 100% focused on bicycle fitting. Whether you are a recreational cyclist, mountain biker, road cyclist, time trialist, or triathlete, we understand the importance of comfort and efficiency for you on the bike. After all, cycling is fun. And nothing impacts your experience more than bike fit. We say it over and over again - everyone deserves to be comfortable on a bike. That’s why we offer four different levels of bike fit. For the beginner, the Trainer Fit offers a great starting point to achieve greater comfort and efficiency. For those of you looking for an unmatched bicycle fitting process, we offer the Dynamic Series on our Guru Dynamic Fitting Unit (DFU). Like a t-shirt, bikes come in sizes such as Small, Medium and Large. Or, like a suit, you can find more specific measurements like 52cm, 54cm, 56cm and more. But we don’t believe in choosing a bike based on one letter or number. That’s why we take a more personal and promise to fit the bike to your body, not the other way around. During the bike fit, we optimize your position for power, cadence, and most of all - comfort. Because whether you’re a recreational cyclist, mountain biker or triathlete, making you comfortable on your bike is our number one priority. The more comfortable you are, the more you will enjoy riding your bike. When you purchase a bike from Swim Bike Run, you can be confident that every detail was chosen according to your specific needs. It’s as tailor made as a new bike can get. After all, it is Your body. Your budget. Your bike. SBR is fully invested in being a fit-first shop. That means we recommend getting a bike fit in conjunction with your bike purchase. Because the only right bike for you is the one that fits. It doesn’t matter if your budget is $500 or $5,000, any amount is too much to pay to gamble and get the wrong bike. Bike "sizing" is at best inconsistent, and at worst, misleading. Bikes were once sized by measuring the distance from the center of the bottom bracket to the center of the intersection of the seat and top tube. If bike frames were all built the same, that would be fine. But they aren't. Other bike shops may assume that all cyclists roughly 6 feet tall will ride a 56cm or 58cm, not taking into consideration the difference between brands, frame styles and the riders themselves. Consequently, lots of athletes are riding bikes that simply don't fit. But there is a better way. This is our Intermediate level Fit. Dynamic 1 Bike Fit: $100 ($50 when purchasing a new bike) - takes about 1.5 hours. 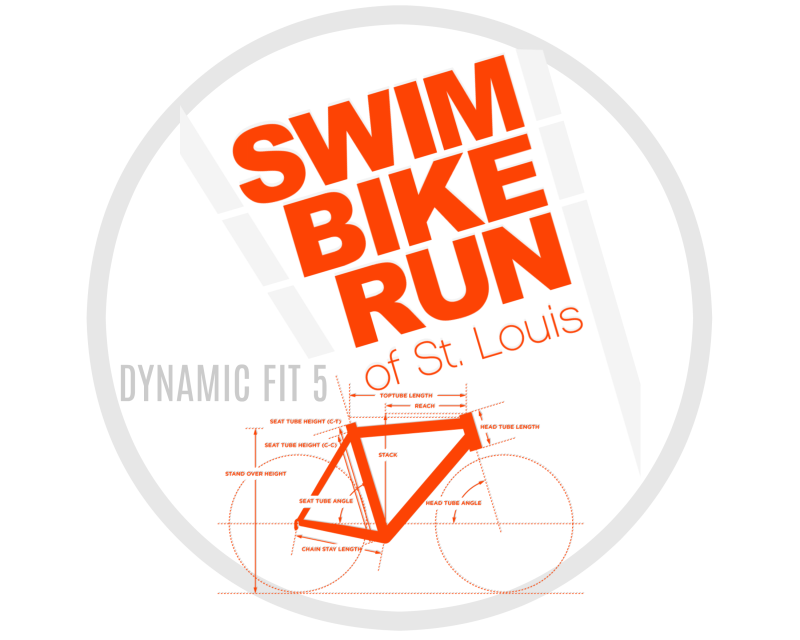 This is our intermediate level fit, but don't be fooled - this fit goes deeper than many other St. Louis bike shop's highest level fit! This fit combines the knowledge of our expert fitters and the motors of the DFU to take you through a fluid fit process where you never have to get off the bike to compare position adjustments. This type of instant feedback between positions is truly a game changer for all cyclists. This is our Professional (Athletic) level fit. 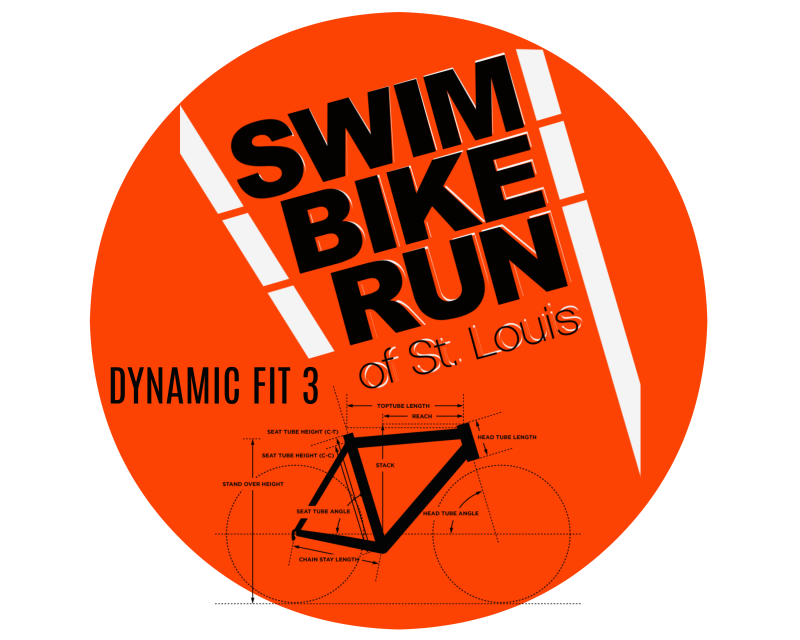 Dynamic 5 Bike Fit: $300 ($150 when purchasing a new bike) - takes about 2.5 hours. Our expert fitter designed this bike fit specifically to be the most precise and athlete-specific fit option available in the midwest. Instead of limiting the bike fit to 3 effective seat angle positions, the Dynamic 5 Fit process follows a rider through five complete bike fit positions. The end result is a fit position that is tailored, to the millimeter, to a rider's strengths. IN THE MARKET FOR A NEW BIKE? FILL OUT OUR FORM! Trainer Fit: Is preformed on your existing bicycle or when you purchase a new bike from Swim Bike Run. When you purchase a road, or triathlon bike from SBR, your trainer fit is included. This option, in many instances, is the more efficient approach as we utilize the geometry and existing components of your bike for the changes needed. So, no added set up time from transferring the fit off the Guru DFU, and added precision from using your components.